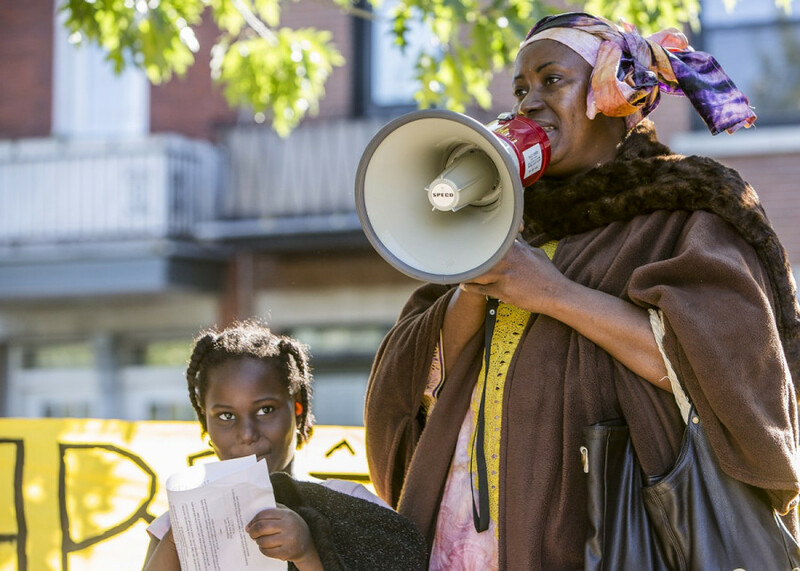 In face of continued deportations within the Guinean community, Montreal’s Immigrant Workers Centre is calling on the city to implement concrete policies so it can live up to the declaration it made to become a sanctuary city. Community organizer Mostafa Henaway from the workers centre said that 15 Guineans are currently facing deportation orders. A committee of Guinean Montrealers being supported through the workers centre wants to meet with Valérie Plante as soon as possible, hoping she’ll take action to prevent the deportations. “Hopefully Plante will begin the process of taking concrete steps towards making Montreal a sanctuary city,” Henaway said. The initial declaration was made under Denis Coderre’s administration in February. It promised that undocumented people would have the right to use services provided by the city without the risk of being reported to immigration services. Promises were also made by saying undocumented people would have more access to housing, would be free to call the police without fear, and that municipal employees serving non-status people would be properly trained on how to work with non-status people. Ansou Barry, who used a pseudonym out of fear of being in the public eye, is one of the 15 facing deportation after he was refused refugee status. He’s been here since 2011, and in February got a deportation order from the Canadian Border Services Agency. He chose to leave Guinea because he feared for his safety. “After I met my partner I decided to convert to Christianity, and since it’s majority Muslim here we aren’t welcome there, they don’t accept that,” he said. 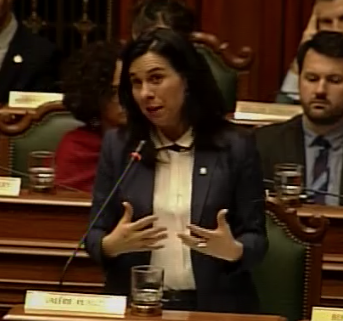 Valérie Plante at a city council meeting on Dec. 11. Screengrab from Webtv.coop. His father didn’t accept the change, and it made it hard for him to hold a job. He said things will be the same for him if he has to return, and he wants to work in a more stable economy. After the ebola crisis started to slow down in 2016, the workers centre said they’ve been seeing an increase in the number of Guinean people being deported back to the country. And while Canada has declared Guinea a safe country to return to, Henaway said that’s not the case. Because there’s rampant poverty, unemployment and political persecution, the country is still inhospitable to Guineans who’ve come to call Montreal home. Since being passed, the declaration has been criticized by community groups who say it’ll remain symbolic until the Montreal police end their collaboration with the CBSA. The city never intended to push police to end their collaboration with the CBSA in the initial declaration, and it’s uncertain whether Plante’s administration would push for that. When asked at a city council meeting on Dec. 11 whether Montreal would consider implementing a “don’t ask, don’t tell” type policy for its police, Plante said an official policy isn’t in place yet. She also said her administration is still in the process of deciding what they’ll do with the sanctuary city declaration. With things still uncertain, she said she doesn’t want to put forward any empty promises that’ll mislead people on the ground.